Germany is ready to ease immigration guidelines for skilled workers from overseas who take up a job offer in the country. The move by German government is a desperate measure to alleviate the substantial skills shortages in areas such as engineering, train driving and plumbing. The rules would be effective from July 2013. Germany has already introduced the EU Blue Card making it easier for employers to recruit foreign academics. The ageing population and relatively low immigration has resulted in lack of workers in certain professions and sectors. OECD has urged Germany to liberalise the recruitment of overseas professionals to fill a projected shortfall of approx. 5.4-million workers with vocational or tertiary qualifications by 2025. 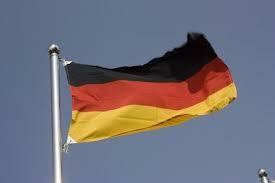 Germany Immigration now issues two different permits for skilled professionals. Germany Skilled Job Seeker Visa: Skilled workers can come to Germany and search job for 6 months with this temporary residence permit. Germany EU Blue Card: Masters degree holders with work experience can come to Germany with a job offer. Details about the schemes can be known, just dial 1800 103 1555 or mail at [email protected].